The second sickening installment in the HORRORS of IT ALL! Featuring terrifying tales as chosen by Steve "Mr. Karswell" Banes! 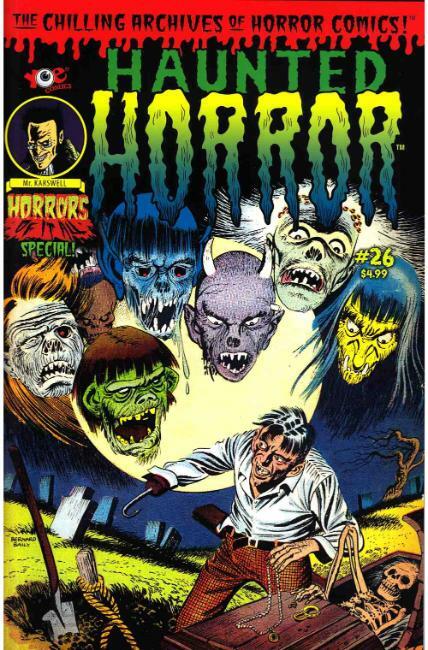 A surprisingly vicious issue highlighted by a terror-ific Bernard Baily cover, as well more severed head stories inside than you can swing a sharp edged stick at! Yes, if this one doesn't scare you-you're already dead!